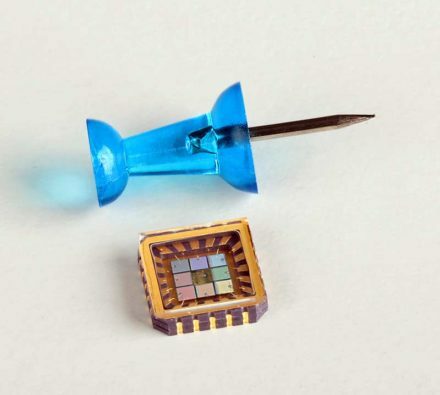 PixelSensor™ multispectral sensors use exclusive on-chip filtering to pack up to 8 wavelength-selective photodiodes into a compact 9x9mm array format for simpler and smaller optical devices. 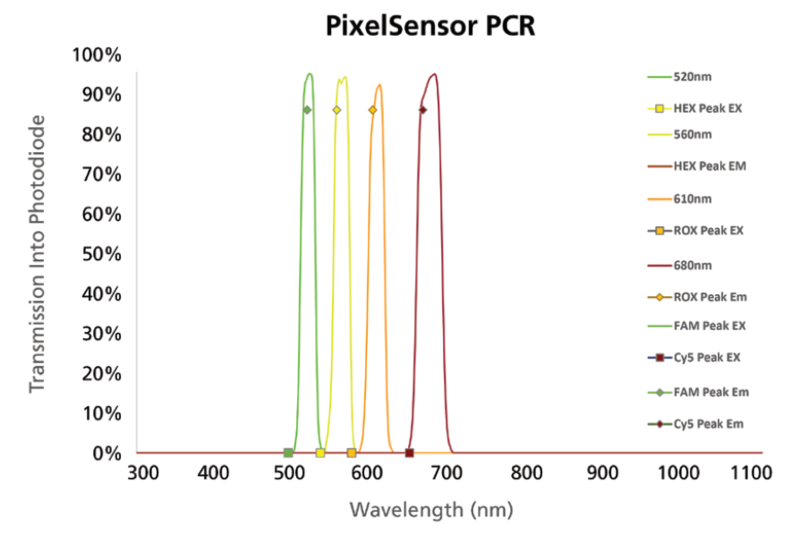 One PixelSensor™ replaces multiple components, helping OEMs shrink multi-wavelength instruments for applications including in vitro diagnostics, biochemical assays and colorimetry applications. The unique, wafer-level optical filters split the spectrum into 4 discrete color bands and suppress out-of-band background light, improving contrast and sensitivity. Customized OEM versions are available with user-defined spectral bands. With narrow band VIS selectivity, the sensor arrays are soldered onto an OEM electronics board. 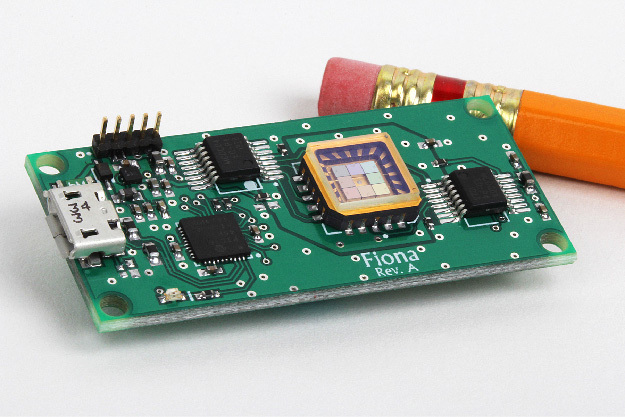 The OEM electronics board is designed for easy integration into customers’ analytical equipment and provides a smaller footprint (45.72×21.34mm) and faster time-to-market than traditional sensor technology, offering a cost-effective solution. The parallel channel design results in no moving parts and faster measurements than discrete optics designs and spectrometers. Designed for low noise and fast response time, the 20-pin LCC package can be surface or socket mounted. 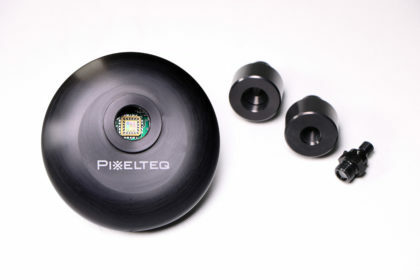 The PixelSensor™ OEM electronics board and accessories and simple-to-use software interface provide designers with tools for rapid prototyping and development – to help quickly move your device from concept to scalable production. Contact us for more information on volume pricing, custom configurations, and purchasing the OEM board as a standalone unit.